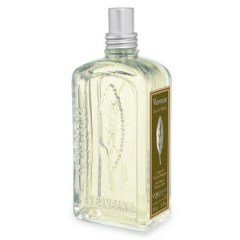 As part of their Seven days of Giveaways, blingingbeauty.com is giving away L’Occitane Verbena Eau de Toilette! Enter to win this and their other giveaways here. Ponds has always been a trusted brand to thoroughly remove makeup with their cold cream, and more recently their cleansing towelettes have won rave reviews for quickly removing makeup. We thought we’d see if that same quality extended to their new Luminous Clean Cream Cleanser. Our favorite part about this product is how soft it makes your skin feel. Your pores also appear to be smaller afterwards because it’s a very deep clean. This is most likely from the soft white Kaolin clay ingredient, which draws impurities and makeup from the skin. The most interesting thing about this cleanser is that it’s very thick and creamy, but it actually doesn’t leave a residue on your face at all. Tip: A great way to use this products or any cleanser with clay is to let it sit on your face for a minute or two, then rinse. It gives great results! Tangled hair isn’t just for children. If you have fine or damaged hair, you know it can get easily tangled. 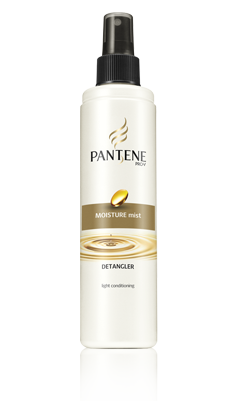 Pantene makes a hair detangler – Daily Moisture Renewal Moisture Mist Detangler which has proven to be pretty effective. A little goes a long way, and the mist is fine enough to give a nice, even application. Not only does this Moisture Mist detangle, it prepares hair for styling. The directions state to use on damp hair. If you have frizzy hair, this is important. Although this product works very well, if you put it on dry hair it swells the hair, making it poofy. If you’re looking for volume however, this may actually give you the body you’re looking for. Tip: Does your hair get really tangled when you wash it? Try spraying a bunch of detangling product on your hair and brushing it out before shampooing. Shampoo carefully while avoiding scrunching the hair. 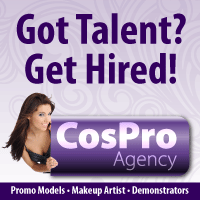 It’s no secret that the wet n wild brand is one of the least expensive cosmetic brands at your local drugstore. However, what’s unexpected is just how much quality their new Color Icon Eyeshadow Collection offers. Overall, it has everything you would look for in a department store brand–smooth application, long-lasting, richly pigmented, and easily blendable. At around $6, we couldn’t believe how many great shades there were in one palette. 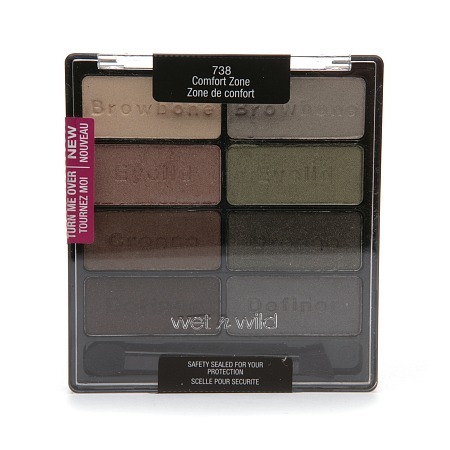 We tried Wet n Wild Color Icon Eyeshadow in 738 Comfort Zone, which has the most neutral tones. The definer shade is actually pigmented enough to use without water as a liner, but it works very well with water if you want a harder line. The browbone shades work well as eyelid colors as well. You’ll love the brown crease shade, which gives just enough color for whatever eyelid color you’re wearing. The only drawback with this palette was that if you’re not careful with the definer shades when using them as eyeliner, they can drop down to your cheeks. And at that point the fact that the eyeshadow adheres well becomes a con instead of a pro. 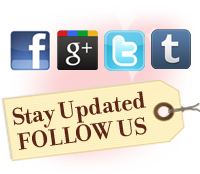 For more posts about Wet n Wild products, click here . Allure is giving away more than $1 million in beauty and fashion products in the August! This is the biggest giveaway in their Free Stuff issue history, and there will be a total of 174 giveaways throughout the month of August. 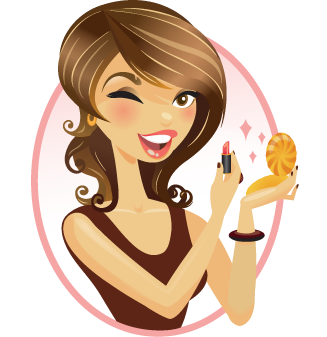 Examples of August giveaways include Essie nail polishes, SkinCeuticals serums, Stila lipstick, and Lancome mascara. To enter to win, you can go to http://www.allure.com/free-samples or by scanning the tag with your Smartphone.